I’m officially full-term! If this sweet baby was to arrive today, she would most likely be totally fine. This is a relief and at the same time a little crazy to think we will be a family of four in less than two weeks! She’s (it’s getting difficult not to say her name) been moving around a ton, measuring right on schedule and her heartbeat has been strong at every appointment 💗 At my 37 week appointment earlier this week, I was a tiny bit dilated! This is crazy to me because I never dilated with Ashton. He was in there for the long-haul. But even though I’m dilated, the Dr. said she’s still up high. While interesting, both of these bits of information don’t really mean a whole lot. There have been people who are dilated a month before delivering, and often with pregnancies after your first one, the baby won’t drop until active labor. So basically I have no idea when she will arrive (except if she holds off until my scheduled c-section in (less than) two weeks). I feel like she takes up soooo much space! I am not very hungry. I actually lost almost two pounds this past week 😦 The doctor said that can be common at the end when she is taking up so much space (hello smushed stomach). The doc said to just graze all day (little meals), which is pretty much what I have been doing. It is pretty crazy that I lost a little weight because the last few weeks I haven’t been as active (darned arctic blast), and I have upped my sun butter/peanut butter intake. Other foods I am eating right now are veggies and hummus, popsicles, pudding, bananas with sun butter, luna bars… Lots of other things, but those are the things I am eating most often lately. Sleeping is still illusive… I fall asleep good and that first stretch of sleep is good, but after I wake up the first time to use the bathroom, it’s all over. I usually lay in bed for a couple hours and maybe fall back asleep for a short stretch before starting the day. I’m not saying I am looking forward to the newborn sleep schedule, but it will be a little nice to be able to sleep when I have the chance to. I get out of breath and tired just standing. If I am moving I don’t feel as bad, but when I am just standing still I get a bit exhausted. It is a weird feeling, but I feel like I need to sit. My heart rate goes up more frequently too. You would think that moving around would cause this more, but it’s exactly the opposite. I have gotten a couple walks in this last week (finally), and I have slooooooooooowed way down! The baby feels much heavier and I feel more when I am walking, so I am now moving a turtle’s pace 🙂 But it still feels good to get out and get fresh air. 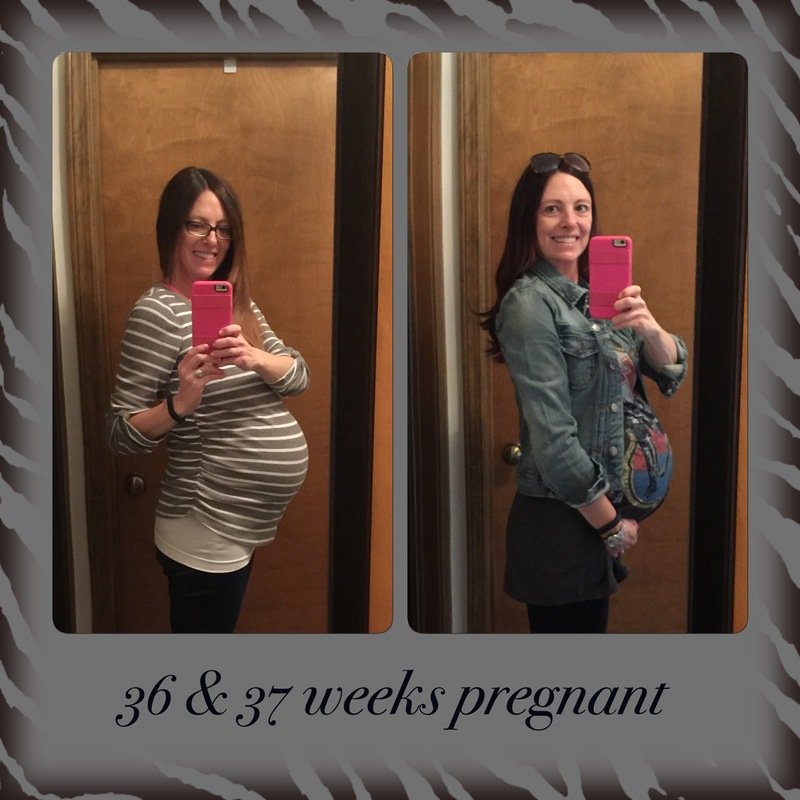 I have also made it to 2-3 prenatal yoga classes each week. Love them. 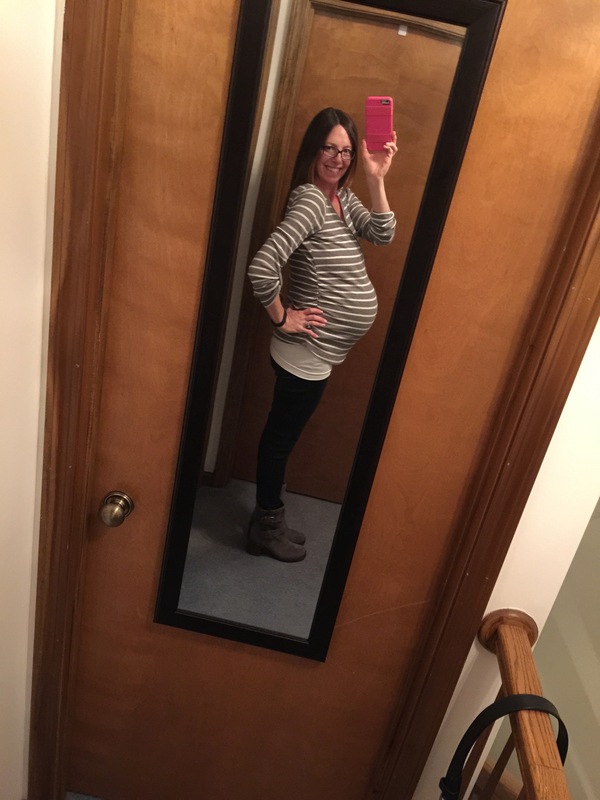 I am trying to squeeze in as many as I can before the baby arrives, and I have felt great doing that. I am really going to miss the classes and the instructors! I think I am getting random contractions now and then, but nothing consistent. My stomach will feel really hard/tight all over and I get lower cramps. Typically only the part of my stomach where the baby is hanging out is hard, and the rest is softer. So that is why I think they might be contractions/braxton hicks. 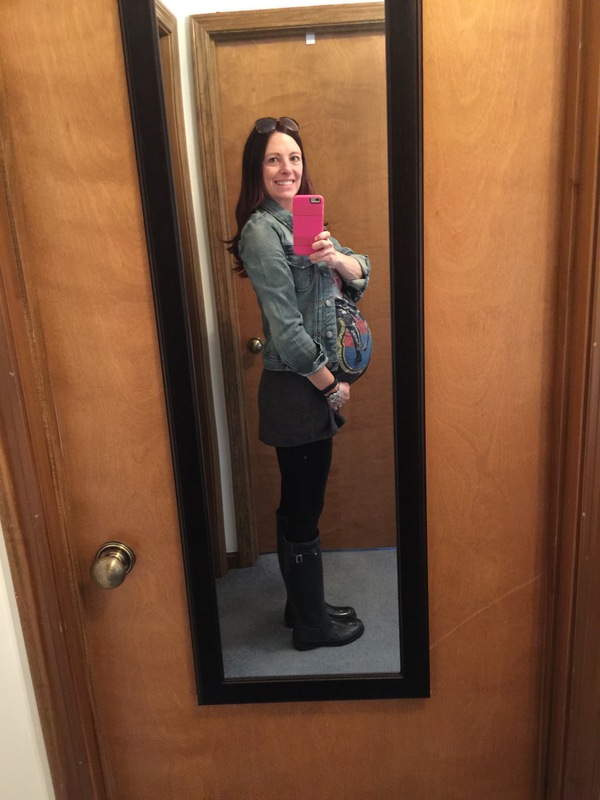 After my appointment where I was a little dilated and anytime I feel something that may or may not be a contraction, I am pretty crazy about making sure I have everything ready to go. So, I am pretty much ready now. I still find little things here and there to organize or clean, but for the most part now I am ready. Just waiting! SO EXCITING! And this is was an interesting post. Do you remember what you felt like at 36/37 weeks with Ashton? 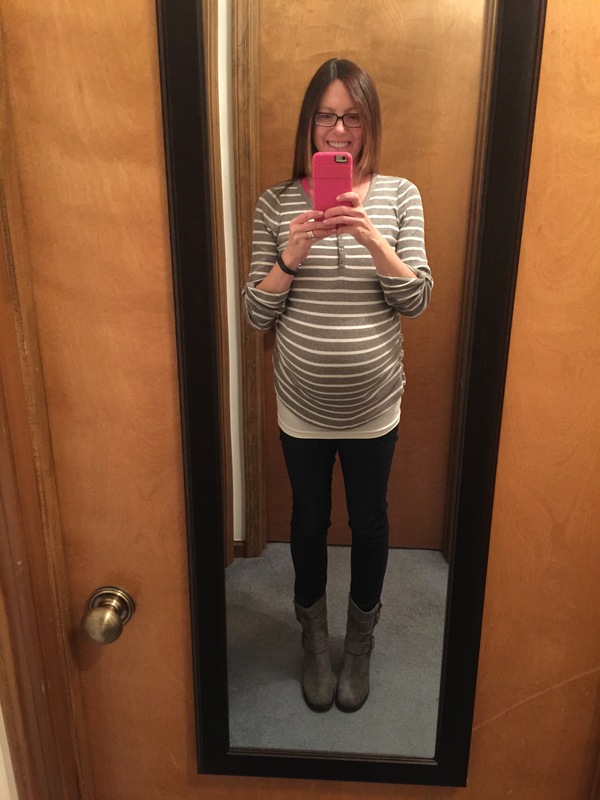 I need to go back and look at pictures from my pregnancy with Ashton to remember… But I definitely feel the more pregnant now than I ever did (even at the end) with Ashton, haha!